CRM - Simple is Smart. Manage your Accounts and Contacts with ease and convenience. Let us show you. 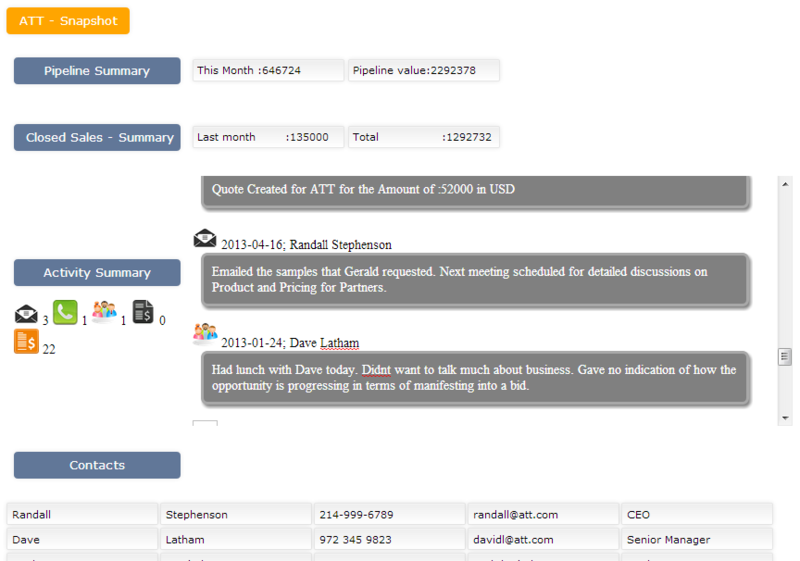 Financials, engagement, contacts - all in one place. Powervieux's Acitivity Module lets you capture as much or as little information you would like. Powervieux's Activity module is extremely powerful, not only allowing you to record every Customer interaction but also allowing you to flag 'Help Required' and New Leads as well as Notes to track steady progress from leads to a purchase order. 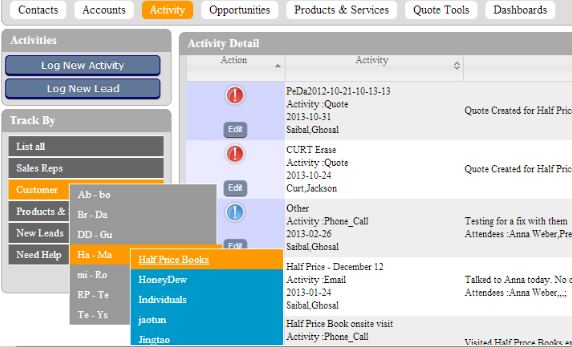 Powervieux's Quote module will automatically populate the Users particulars, but also allows you to modify fields. Choosing the Account Name automatically applies discounts you have saved for that specific Account. 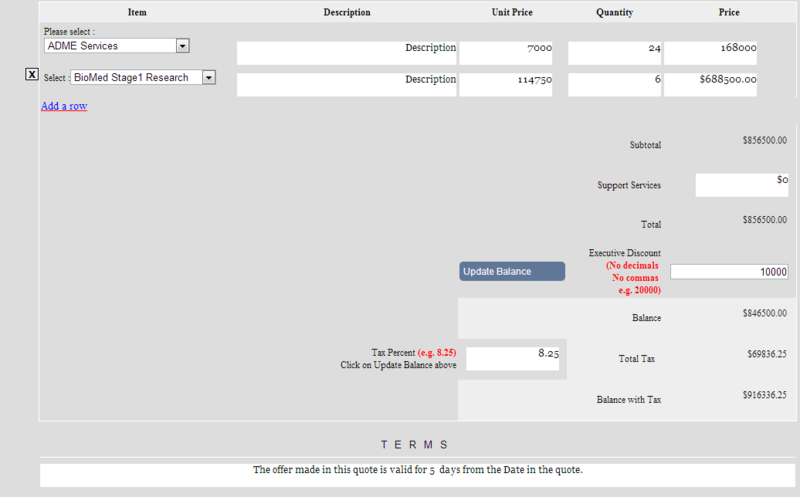 Multiple levels of Discount can be pre-configured for each Account. Besides the Executive Discount and the Tax percent fields, the Terms field is configurable allowing Companies to pre-fill their standard Terms, saving time but ensuring standard and effective practices. 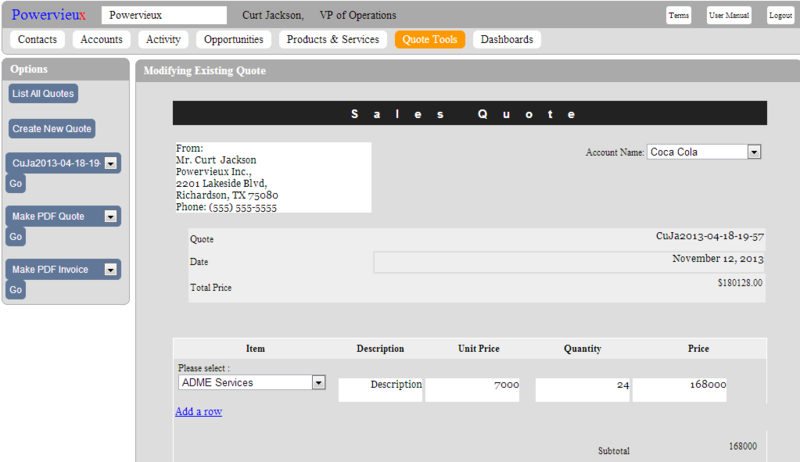 Convert quotes into pdfs with a click. Attach to an email and send it to customers. Easy as 1-2-3.